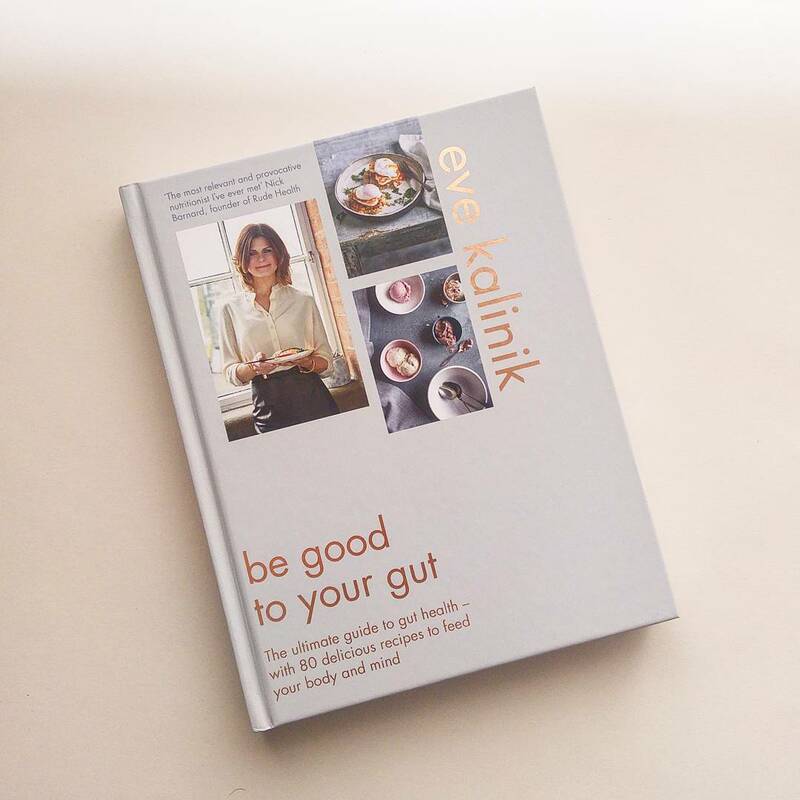 This month, nutritionist Eve Kalinik launched her delicious new book Be Good to Your Gut. Eve is a keen green tea drinker. Here, she gives us preview of one of the recipes in her book: Matcha Banana Bread. I’m a big fan of green tea and it doesn’t get more potent than matcha. This green machine is a powdered version of green tea, from plants that are shaded from the sun for about three weeks before harvest. This increases the plant’s natural chlorophyll levels, giving it its distinctive vibrant green colour. The veins and stems are removed, so you are ingesting the leaves, making it a more potent form of green tea. And just like loose leaf green tea, the health benefits of matcha include high levels of polyphenols, antioxidants that have a protective effect and are great for our gut microbes. 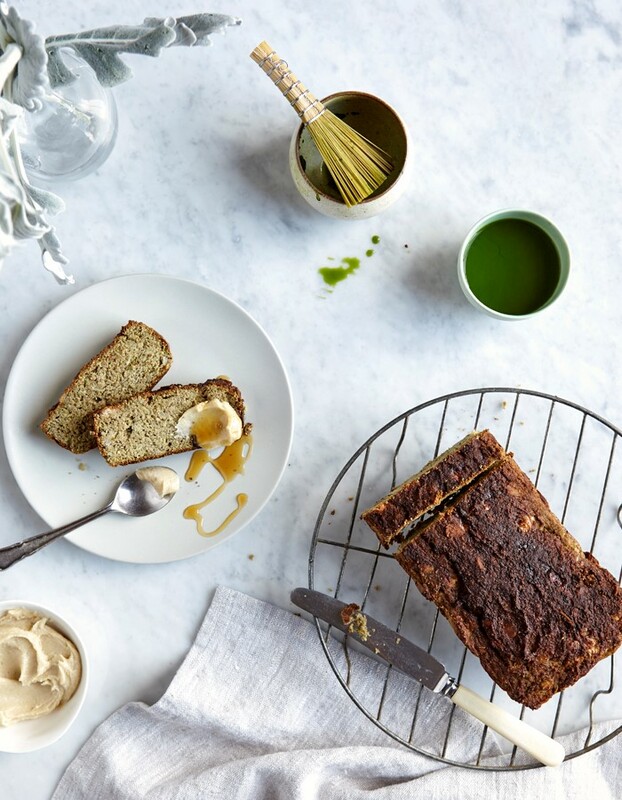 Matcha works particularly well in this banana bread that the whole family will enjoy tucking into; it’s great for breakfast and it freezes well. Preheat the oven to 180°C/Gas 4. Mix the flaxseed with 3 tablespoons of filtered water and set aside for 5 minutes. In a large bowl, mash the bananas thoroughly and add the almond butter, soaked flaxseed, vanilla and almond milk and mix well. Sift the coconut flour into a separate bowl and add the ground almonds, flaked almonds, matcha, bicarbonate of soda, lemon juice and salt and stir well. Add this mixture to the banana mix and combine well. Line an 18 x 8cm loaf tin with baking parchment so that it hangs over the sides and scoop the mixture into the tin, spreading it evenly. Bake for 1 hour. Lift up the baking parchment to remove the loaf and place it on a wire rack to cool. Slice and serve with a generous spread of almond nut butter and/or raw honey. You can find Eve’s book here. Click here to find Lalani & Co Matcha Gold.